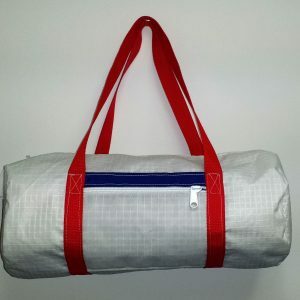 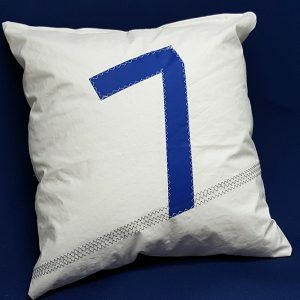 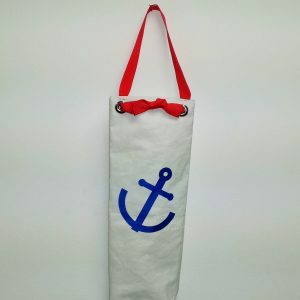 Comfy pillow made of reclaimed sail material. 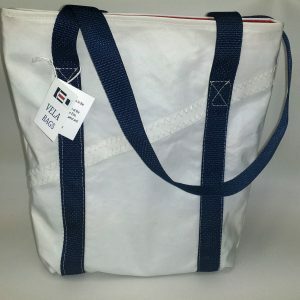 20″ x 20″ This one spells out “Erie” in flags. 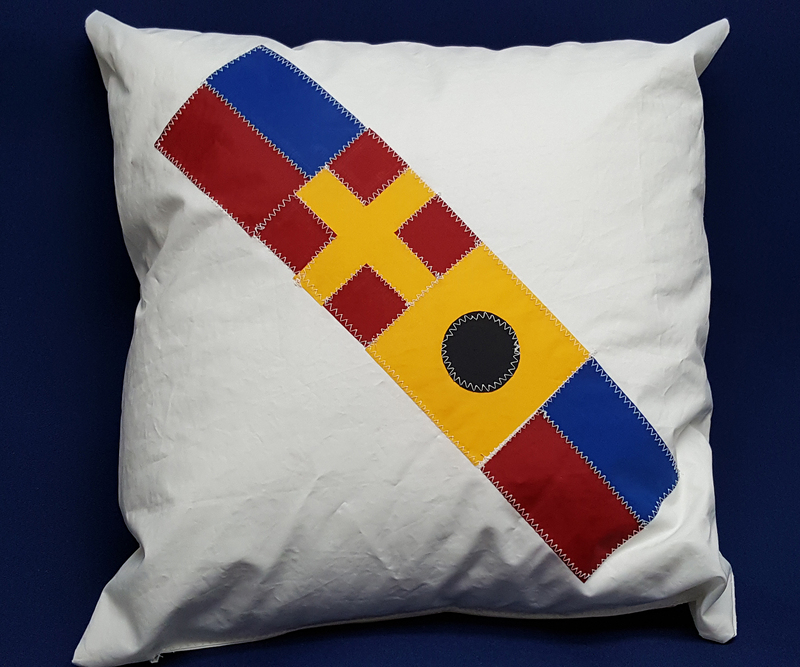 When you order we’ll send you images of in-stock pillows for you to choose from or you can order a custom flag design.